I get a lot of questions here from readers about doubled die coins – more specifically, inquiries that are accompanied by photos of coins which appear to have doubling of their designs. Yes, these are the types of coins that are sometimes found in pocket change. Sometimes a lucky individual will have a real doubled die coin, but sometimes no. So, what exactly is a doubled die? And, what is a die? And, why was the die doubled? 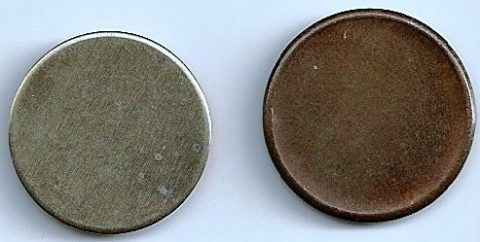 A doubled die coin is one that was struck by a die that was accidentally engraved with a doubled image; by the way, a die is the device that imprints an image on blank coins, which are also known as planchets. Dies are engraved by a positive, or relief, image of the coin called a hub; a hub is created by reducing down the image from an 8” to 12” plaster model. Sometimes, when a die is created, the hub will accidentally create two images on the coin, which will usually appear as a slight, overlapping misalignment of the same design twice on part of the coin. Sometimes, the doubling will be quite extreme. In other cases, the doubling is barely noticeable. How Much Are Doubled Die Coins Worth? The value of doubled die coins depends greatly on the popularity of a given piece. In many cases, the news media has publicized the discovery of a doubled die. In other situations, a certain doubled die will have a sort of cult following within the greater hobby of coin collecting. In many cases though, a doubled die coin is worth a certain value largely because it made the news and became a well-known and widely desired coin. Take, for example, the 1995 doubled die Lincoln cent, which is now a $25 coin that hit the national airwaves when it was first discovered. In other situations, doubled dies are valuable simply because they are rare – like the elusive 1958-D doubled die cent, of which only two are known and boast a value in the six figures. To learn more about doubled die coin values, you’d have to consider doubled dies individually. 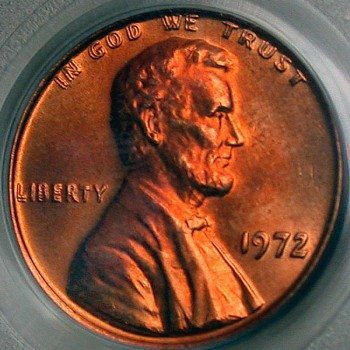 One of the most classic examples of a fake (or, I’ll politely say, mislabeled) doubled die is the 1955 Poor Man’s Doubled Die penny. It’s not even a doubled die – it’s the result of a common strike defect called machine doubling, which happens when a coin is imprinted with a slight “doubled” effect as the die (or the coin) ricocheted off each other a bit during the striking process. Most such pieces are regarded as defective coins by some numismatists, but the 1955 Poor Man’s penny has gained a foothold in the popular coin market to satisfy collectors who have holes for a 1955 doubled die Lincoln penny in their coin albums but can’t afford to buy the real deal. A 1955 Poor Man’s doubled die penny has a value of around $1 to $3. In general, if you’re going to buy expensive doubled die coins, make sure they have been authenticated by a third-party coin grading company.